Where the whole of the year till now has not shown any tremendous or blockbuster result in the Bollywood cash registers, on the other side one by one many small and low cost films are getting released every single or other week on box office. This week at least 7 Bollywood including Manjunath, Yeh Hai Bakrapur and Koyelaanchal in addition to one Hollywood film The Amazing Spider Man 2 have hit the Indian cinemas. Call this hara-kiri by producers or lack of common sense, this scenario has badly affected exhibitors and makers adversely with dismal numbers on cards. All the three releases are just average and as are their 4 days performance till now. On one hand Yeh Hai Bakrapur which had some sort of opening but as low as 5-7%. These films might get good word of mouth which can take them close to covering their cost in total lifetime. On the other hand ‘Manjunath” is a non starrer film and has found no takers due to almost zilch marketing and as is the performance of the other release Koyelaanchal. 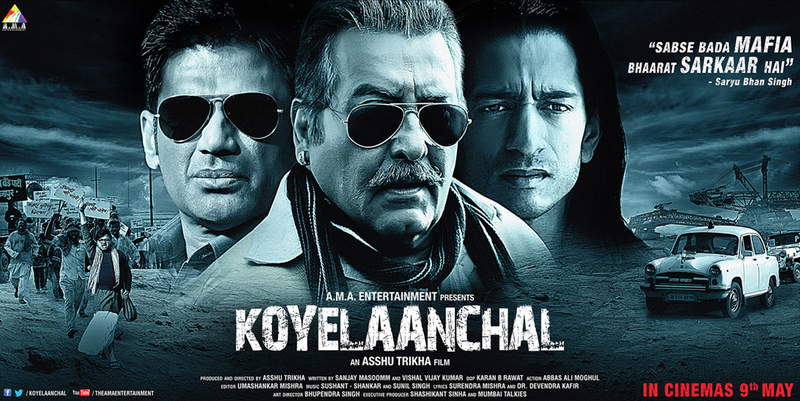 ”Koyelaanchal” got boost due to delayed release of Rajnikanth starrer and has got widest release in single screens. Though film will get better numbers in smaller towns and single screens due to messy subject but overall prospects are bleak. It’s the only film that was expected to be upright in collections but hasn’t shown the expected performance. With the commencement of first weekday indicating much gradual fall in business, total 4th day collection of Manjunath is 0.20 Crore, that of Yeh Hai Bakrapur is 0.47 Crores and 4th day box office collection of Koyelaanchal is 0.28 Crore. By now it is very clear that all the Bollywood releases haven’t managed to win audience hearts this time and all are quite like washouts.